Dr. Avestruz is a computational cosmologist. She uses simulations to model, predict, and interpret observed large-scale cosmic structures. Her primary focus is to understand the evolution of galaxy clusters. These are the most massive gravitationally collapsed structures in our universe, comprised of hundreds to thousands of galaxies. Other aspects of her work prepare for the next decade of observations, which will produce unprecedented volumes of data. 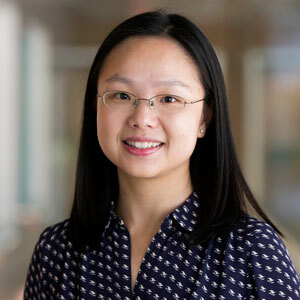 In particular, she is leading software development efforts within the clusters working group of the Large Synoptic Survey Telescope to calibrate galaxy cluster masses from simulation data. 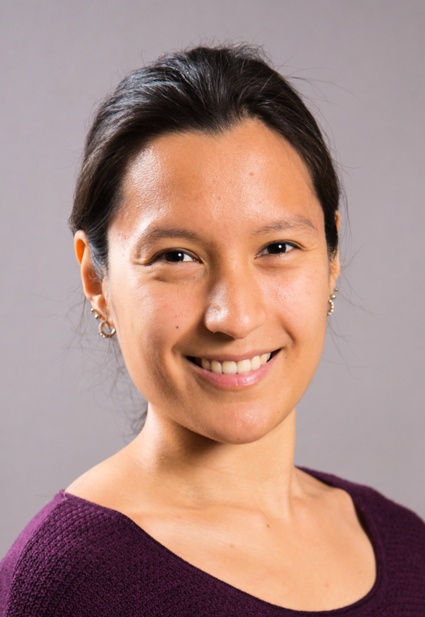 Dr. Avestruz also incorporates big data methods, including machine learning, to extract gravitational lensing signatures that probe the mass distribution of massive galaxies and galaxy clusters. 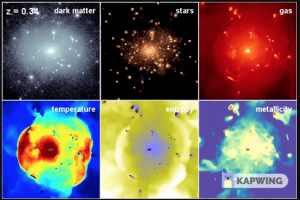 [Click on image to see video] Image projection of various components and properties of a simulated galaxy cluster in its last 8 gigayears of formation. The top left panel shows the underlying dark matter content, the top middle image shows the distribution of stars, and the remaining four panels are properties of the gas content: density, temperature, entropy, and metallicity. To model the evolution of galaxy clusters in a cosmological volume, the simulation uses adaptive refinement in space and time in order to span the relevant dynamic range of the system. 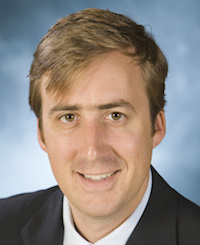 Ricky Rood is a Professor of Climate and Space Sciences and Engineering. 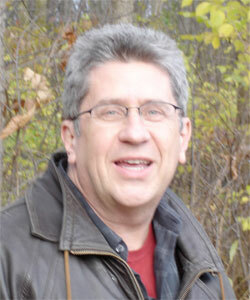 His current research and teaching focus is on climate change and its repercussions in society. His research history includes numerical modeling of trace constituents and atmospheric dynamics. He was director of NASA’s Center for Computational Science at Goddard Space Flight Center. He is currently consulting with NOAA on the Next Generation Global Prediction System. Professor Rood is an active member of the climate science community, working on strategic approaches to the climate-change problem solving. He writes blogs for Wunderground.com and Climatepolicy.org and he is a main contributor of The Climate Workspace project, glisaclimate.org, a site that supports an online community of people working to address climate change questions and problems. 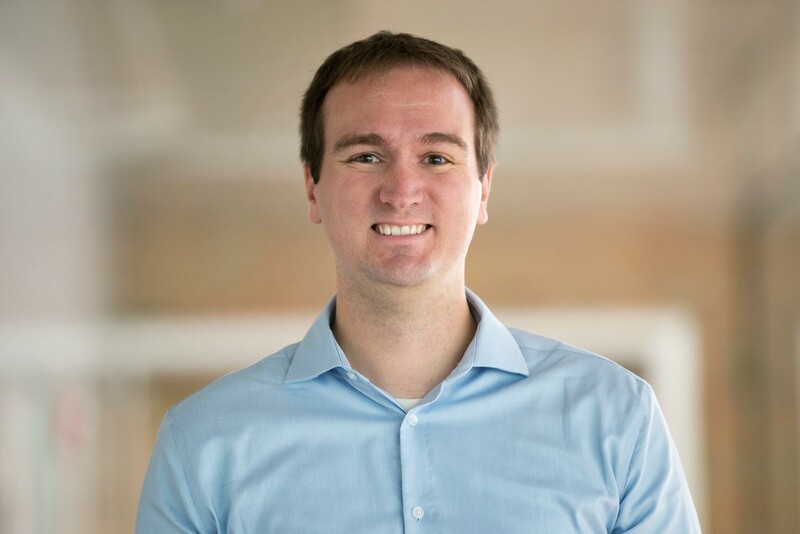 Dr. Maki works in the field of fluid mechanics, and his central focus is on developing algorithms for numerical computation of high-Reynolds number external flows that contain an air-water interface. Research interests include investigating free-surface hydrodynamics for analysis and design of high-performance naval craft and renewable-energy devices. Theoretical effort is focused on accurate description of the flow about marine vessels. Numerical research employs finite-volume and boundary element techniques to solve equations appropriate to govern the performance of ships maneuvering in waves, and energy devices and structures that operate in the ocean. His research group develops fast and scalable algorithms for solving differential and integral equations on complex moving geometries. 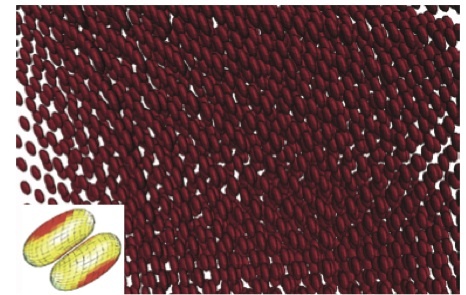 Application areas of current interest include large-scale simulations of blood flow through arbitrary confined geometries, electrohydrodynamics of soft particles and heat flow on time-varying domains. Snapshot from a hydrodynamic simulation of 40,000 red blood cells with the inset showing the details of a two-body interaction. Divakar Viswanath is a Professor in the Department of Mathematics. His research is at the interface of scientific computation and nonlinear dynamics. The incompressible Navier-Stokes equations are a major point of current interest. Turbulent dynamics is locally unstable and bounded in phase space. In such scenarios, dynamical systems theory predicts the existence of periodic solutions (modulo symmetries). Professor Viswanath has developed algorithms to extract periodic solutions and traveling waves from turbulent dynamics. 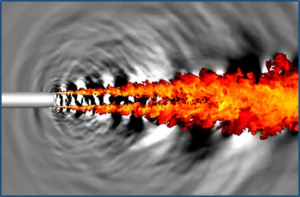 One goal of current research is to derive, implement, and demonstrate algorithms that simulate turbulent flows at higher Reynolds numbers than is currently possible. It appears that this goal will be met shortly. 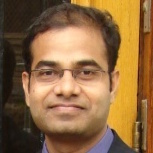 Professor Viswanath has a general interest in foundational numerical analysis ranging from interpolation theory to the solution of differential equations. 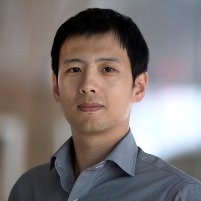 His research goal is to develop accurate and efficient numerical methods for computational problems in science and engineering. The methods he works on typically use the Green’s function to convert the relevant differential equation into an integral equation. Krasny develops treecode algorithms for efficient computation of long-range particle interactions. 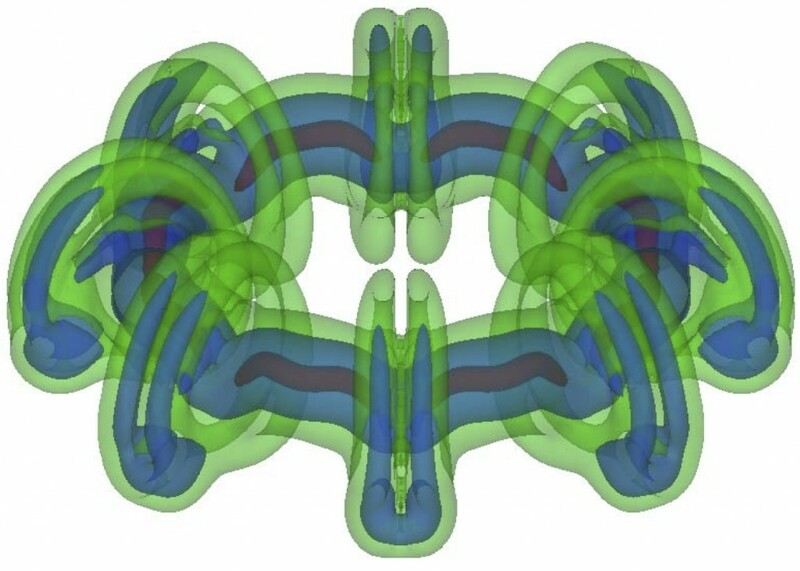 Topics of interest include fluid dynamics (vortex sheets, vortex rings, Hamiltonian chaos, geophysical flow), and electrostatics (Poisson-Boltzmann model for solvated proteins). He is also interested in modeling charge transport in organic solar cells. This picture illustrates the instability of a vortex ring. The ring was modeled as a circular disk vortex sheet with an imposed perturbation of azimuthal wavenumber m=8. The ring’s motion was computed using a Lagrangian particle method and a treecode algorithm for fast evaluation of the induced velocity. 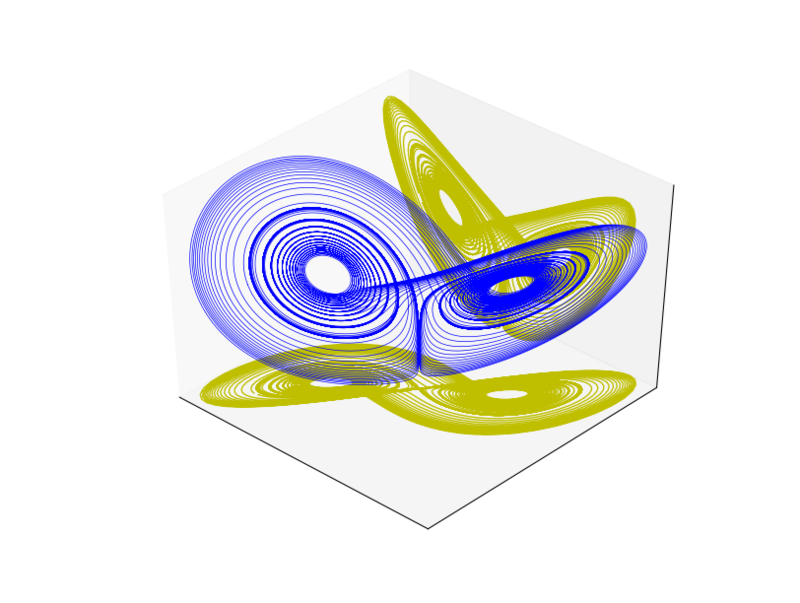 The picture shows three isosurfaces of vorticity at a late time in the simulation. The results reveal details of the instability, in particular the relation between axial flow and collapse of the vortex core. 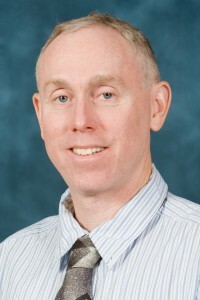 Brian Arbic is an Associate Professor in the Department of Earth and Environmental Sciences, with an appointment in the Department of Climate and Space Sciences Engineering and affiliations with Applied and Interdisciplinary Mathematics, Applied Physics, and the Center for the Study of Complex Systems. 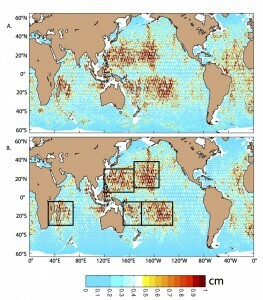 Arbic is a physical oceanographer primarily interested in the dynamics and energy budgets of oceanic mesoscale eddies (the oceanic equivalent of atmospheric weather systems), the large-scale oceanic general circulation, and tides. He has also studied paleotides, tsunamis, and the decadal variability of subsurface ocean temperatures and salinities. His primary tools are numerical models of the ocean. 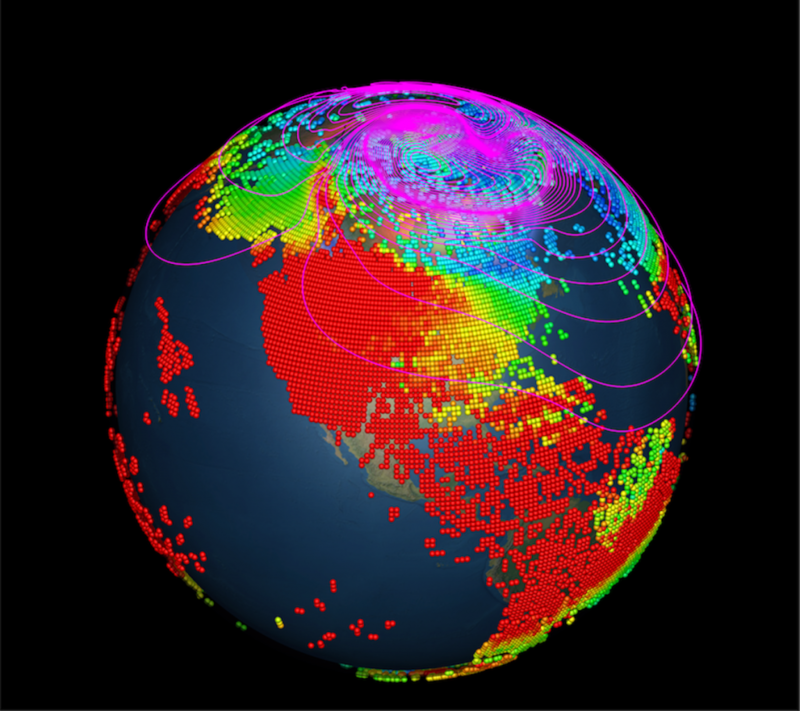 Arbic uses both realistic models, such as the HYbrid Coordinate Ocean Model (HYCOM) being used as a U.S. Navy ocean forecast model, and idealized models. He frequently compares the outputs of such models to oceanic observations, taken with a variety of instruments. Comparison of models and observations helps us to improve models and ideas about how the ocean works. His research has often been interdisciplinary, involving collaborations with scientists outside of my discipline, such as glaciologists, geodynamicists, and marine geophysicists.